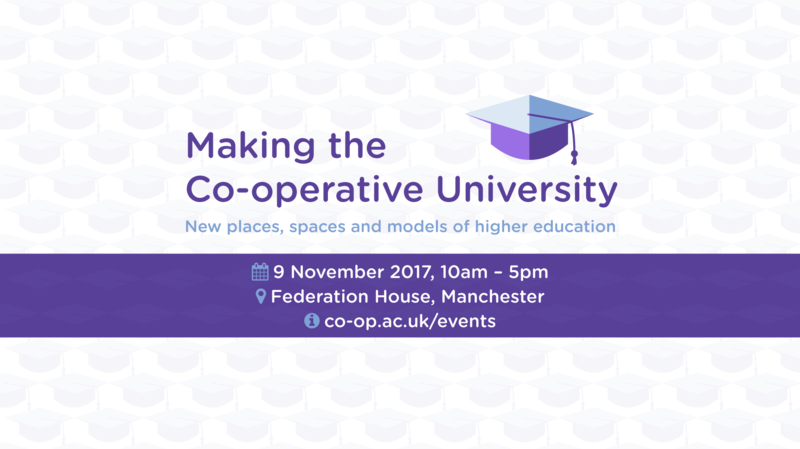 Dan Cook, author of Realising the Co-operative University (2013) has written up some notes of the meeting which you can read on his blog. There is still much work to do but last week’s event felt like an important milestone. When we set up the Social Science Centre in 2011, we anticipated that the removal of direct public funding for teaching in the arts, humanities and social sciences would result in job losses and the increasing precarity of academic labour. In addition to opposing the rationale behind these moves, we predicted a need for academics and students to co-operate and create new institutional forms of higher education for the production of knowledge. 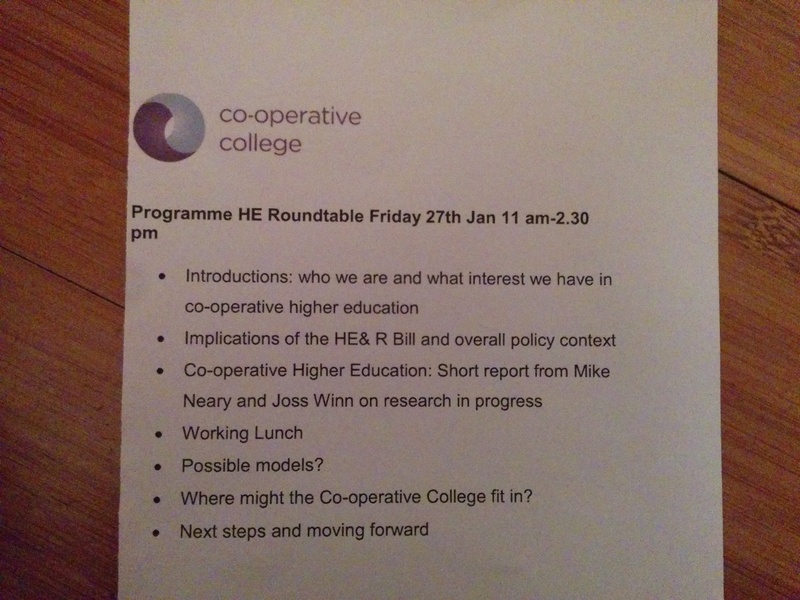 Stories from colleagues attending last week’s meeting suggests that this is now happening and that worker co-ops of academics and social co-ops formed by academics, students and local authorities are in the process of being established. The desire for co-operative values and principles in higher education doesn’t just have to result in the creation of ‘alternative providers’ in the sector; these values and principles could reinvigorate democratic processes within existing universities, too. This is what we are focusing on in our current LFHE-funded project by studying how leadership, management and governance actually work in four case study organisations. 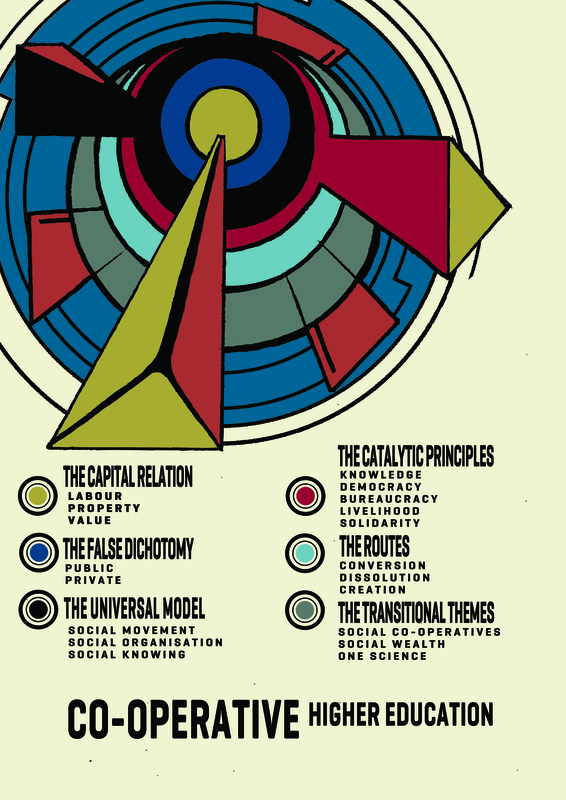 Mike Neary and I will be presenting on this work at the Co-operative Education conference in April.